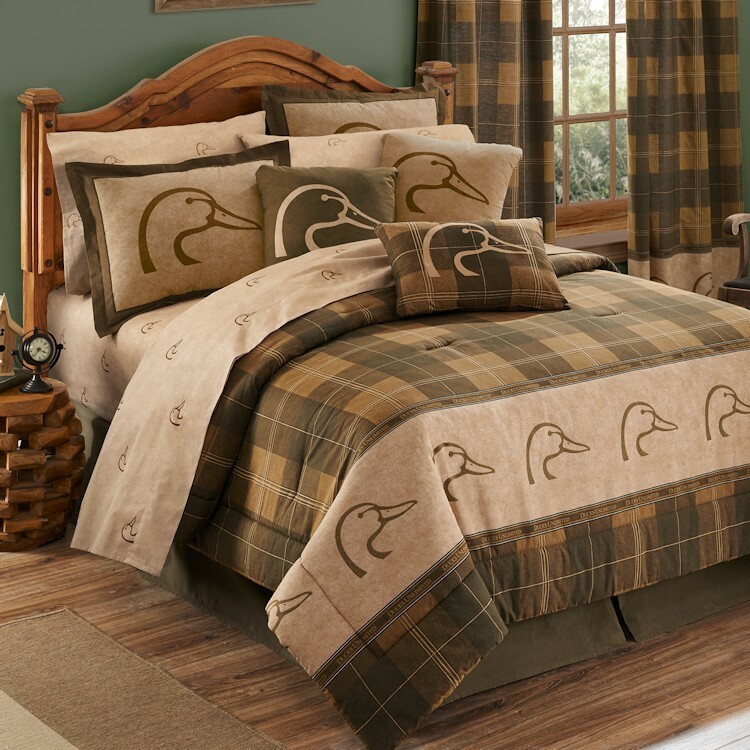 The Ducks Unlimited Plaid Bedding brings a classic plaid pattern to your room in neutral shades of brown, beige, tan and green. 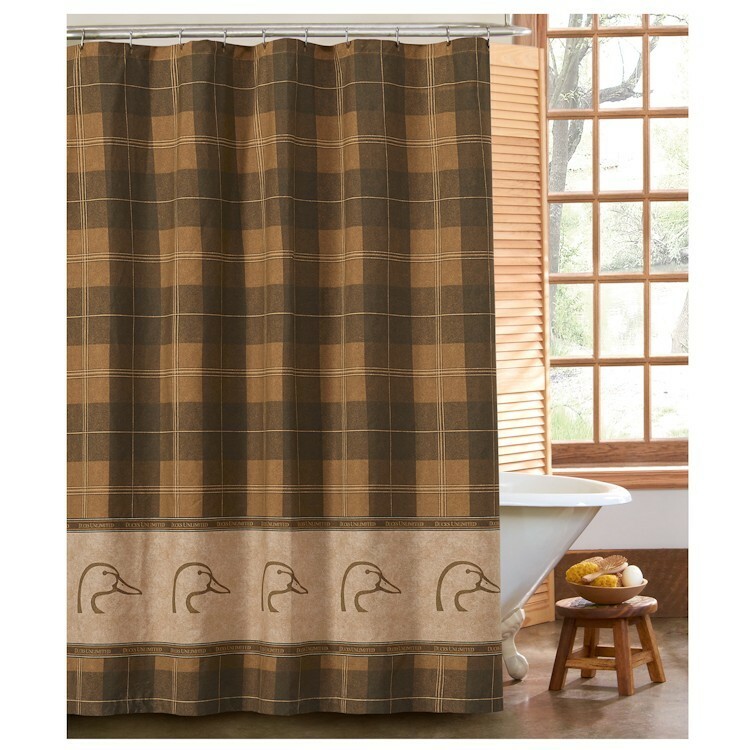 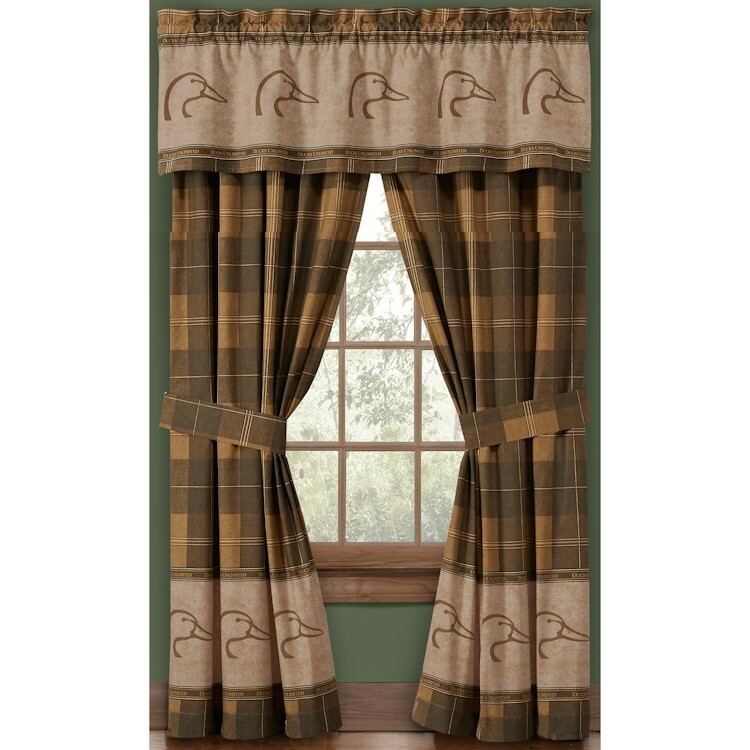 The predominate duck head border will please any duck lover. 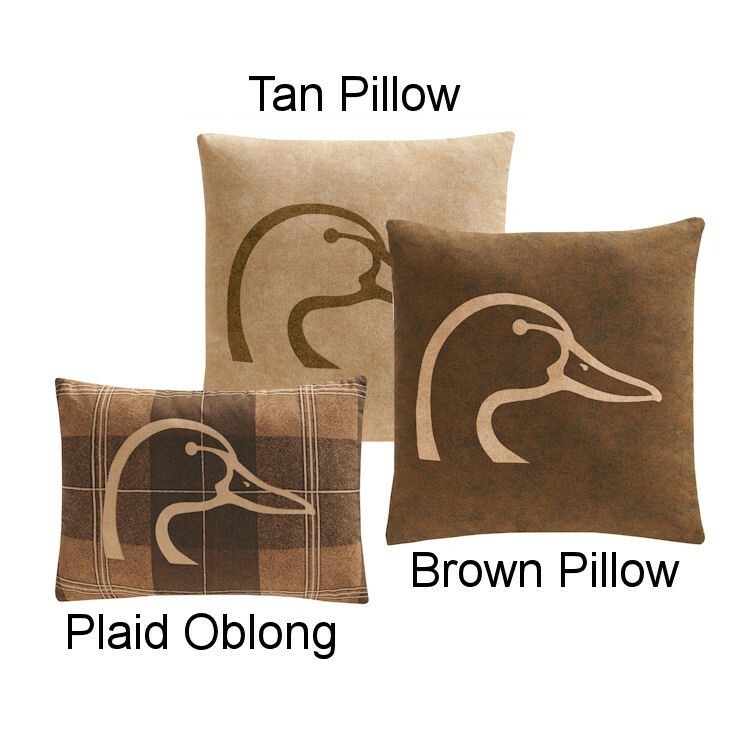 The duck head logo is carried on to the pillow shams with a basic tailored bedskirt.